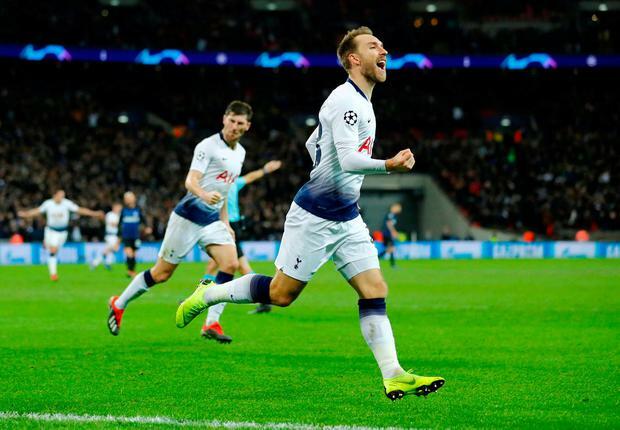 Tottenham Hotspur now know a win in Barcelona is enough to finally get through this Champions League group, because Mauricio Pochettino knew that the introduction of the brilliant Christian Eriksen was enough to beat Internazionale. All of Europe now knows full well what the Dane can do, too. The playmaker was brought off the bench on 69 minutes to score the crucial goal that secured an essential win, and sent Spurs ahead of the Italians in this group on head-to-head away goals. It's that close. It is that kind of margin where Eriksen is most effective. It is also precisely why Pochettino manages his fitness like this, and left him on the bench to start, because of the need to have him at his best when required. It may also ensure that, far from leaving everything in this group just that bit too late, Spurs might well time it just right. 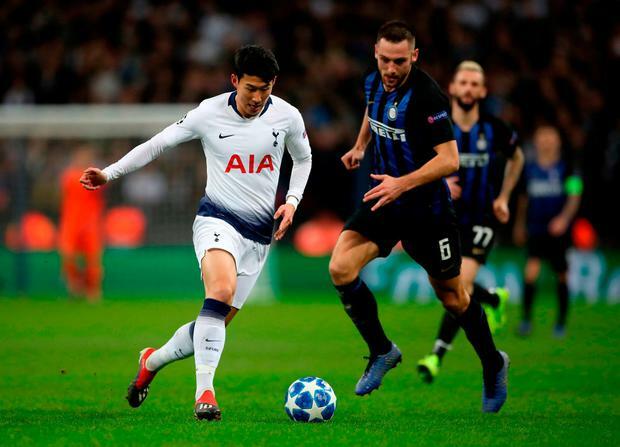 Pochettino's side still have to match whatever Inter do against PSV in Milan when they travel to Camp Nou, but that is against a Barca now certain of top spot in the group and in the midst of a difficult domestic campaign, and just when Tottenham seem to typically be coming to form themselves. The hosts certainly couldn't have been accused of starting this match slowly, as has been the case for too much of this campaign - and the reason they needed a win here. They were tearing at Inter, and causing problems, but it was all a bit too loose, frenzied rather than forensic. It was missing Eriksen, his poise... his timing. Lucas Moura maybe should have had a penalty early on after Matteo Politano bundled him over but most of Spurs' attacks before the late surge were long shots. Erik Lamela had one effort deflected wide, Moura drilled a shot of his own at Samir Handanovic and Harry Winks curled one supreme shot off the bar. Spurs just lacked that gritty canniness, because, unconvincing as Inter were, they were still being gifted opportunities on the break. It was only some last-gasp Spurs desperation, rather than their usual core solidity, that saved them. Hugo Lloris had been somewhat fortunate when he struggled with a Winks' back-pass, but did well to beat away a Perisic strike on 76 minutes. So it was only a matter of time until Eriksen came in and when he did, the desperately needed Spurs goal almost did too. His first touch was to take a dangerously placed 40-yard free-kick. With a supremely driven delivery, he placed a perfect ball onto the head of Jan Vertonghen just six yards out only for the centre-half's effort to trickle wide. Inter had been let off the hook. But they had been warned, Eriksen had been getting into the mood. Finally, Spurs had that propitious combination of power and poise, and that was what brought the pivotal goal on 80 minutes. Moussa Sissoko first surged into the box to suddenly open up so much inviting space, before squaring for Dele Alli. The fear was momentarily that the attacker would rush a shot in the way Spurs had been doing for most of the night, but something had changed and, with Eriksen charging in, Alli held it up just long enough to then flick it exquisitely through for the playmaker to provide another perfect touch. They might well have timed this perfectly, as they now know perfectly well what they have to do.